What does Marketing, Space Tech, AI, Creative Economy and Food Tech have in common of? All of them are tracks of the biggest business festival of sTARTUp Day 2019 which is taking place from 23rd to 25th January in Tartu. Altogether there are 19 different focus topics. It’s a community organized event, all the topics are specially selected to represent what the community stands for and wants to improve on. 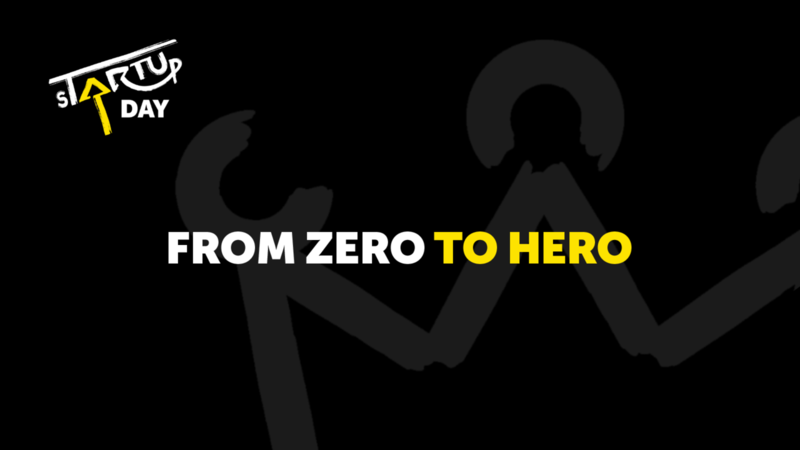 This year's slogan is once again “From Zero to Hero” which aim is to inspire early-stage startups and entrepreneurial people on their journey from zero to something amazing. How did sTARTUp Day begin and why was this brought to life? 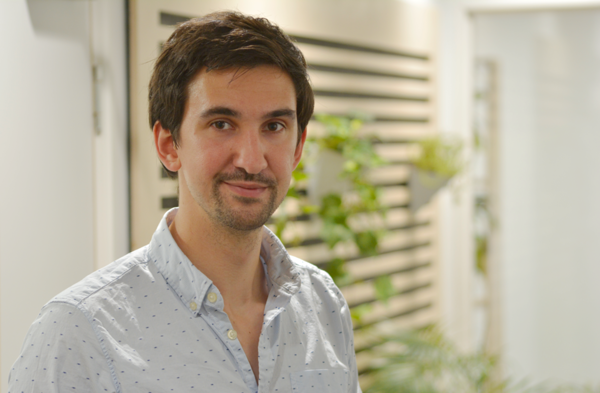 Andres: We came up with this idea at the beginning of December 2015 at Contriber Hub (currently sTARTUp Hub – ed. ), at Buildit’s Demo Day, where the companies in Buildit’s accelerator had to pitch to investors. The event was very cool, but there were practically no investors present. Since I had just participated in an event of Tartu Centre for Creative Industries and we had just held a competition called Kaleidoskoop. And I thought about us having so much amazing events happening but all of them being too small for anyone to know about and not being attractive enough to be appealing to investors or journalists from Tallinn. Since I had participated Slush in Helsinki, I had a vision about having our own Slush in Tartu. The first time I pitched this idea in a sauna. We have a tradition to go to the sauna once a month with the key people of Tartu’s enterprise development organizations (Tartu Science Park, Tartu Biotechnology Park, Buildit, .Contriber, Tartu Centre for Creative Industries, University of Tartu and Tartu City Council), who, luckily or not, are all men. The idea received positive feedback and we decided to invite all of the most important community members together and to hold a big meeting on the penultimate day of the year in Tartu Science Park. Lauri: What happened in approximately 7-8 months was astonishing. We were able to take this small idea to another dimension. Our secret recipe was a lot of organizations and enterprises in Tartu, who were involved and believed in this the same way we did. Besides the legendary Rock basketball games, this was the second time I personally really felt “the spirit of Tartu” and the urge to do something in this city. 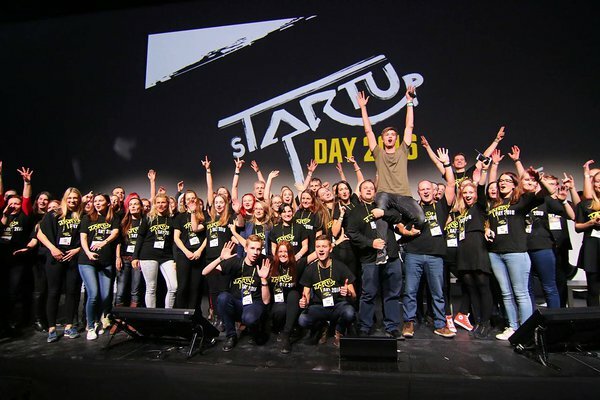 How has sTARTUp Day contributed to the development of Tartu? Andres: It has definitely put Tartu on the map – today everyone knows that startup scene is evolving in Tartu. Although the biggest contribution is getting all Tartu enterprise development organizations to collaborate with each other. This is a very unique thing in Estonia as well as in the world. Almost all employees of these organizations know each other's names and faces, because of the sTARTUp Day meetings we have almost every week throughout the year. We are organizing a big event but during this process, we also change information about different projects. This unites everyone. Lauri: sTARTUp Day has made a major contribution to the city’s development. We have managed to put Tartu on the map of the startup world. Even Peter Vesterbacka, a start-up giant has been visiting Tartu a lot recently – he sees something special is happening here. But the actual benefits are deeper. As Andres said – sTARTUp Day has been a uniting thing for all Tartu’s organizations. Thanks to this, Tartu’s startup community is very strong and collaborates with the University of Tartu and with the City Council on daily basis. Thanks to sTARTUp Day, many new enterprises and initiatives have born. Let’s take a look at the bigger picture: what do you think what are the biggest mistakes that companies do in their marketing? They play it too safe. Every business requires constant progression and adaptation. The same applies to marketing and advertising. If people have the chance to skip a commercial, they do. So we need to stop making commercials and start shifting the budget to understanding how to give back to the people we are trying to reach. Most of the people seem to be a lot into getting “likes” on their content but what should they focus on instead of that? Focus on sharing. You can buy likes, you can buy engagement and you can even buy subscribers. The only thing you can’t buy? Shares. Not focusing on sharing is the single biggest mistake I see when people are trying to market their business or themselves. Sharing is the only way to change a consumer’s nature. At sTARTUp Day you’re speaking on the topic “How to make things go viral?” Can you give a little sneak peek to this? I teach people how to float in a flooded world. Starting anything today can be overwhelming because of the sheer number of people who are pursuing something similar. I’ll talk about what is most important when it comes to getting noticed and will teach principles that you can apply for the rest of your life. Platforms change. People don’t. Which are the challenges of working with science? Science is hard. There’s certainly no shortage of challenges, scientists face obstacles each step of the way, from the initial struggle to secure funding, balancing the pressure publish with lecturing, to the shortage of more senior positions across academia. It’s a system that takes some of the best and brightest and really demands a lot not solely in terms of intellect but also in persistence and resilience. To quote the late Paul Kalanithi, a neurosurgeon and writer, “Science is as political, competitive, and fierce a career as you can find." And that’s when the science itself is going well. How to bring science closer to people? I believe effective science communication relies on showcasing the human side of scientific discovery as well as the results themselves. It’s easy for science to seem exclusive, mysterious, and confusing, and as a consequence become unrelatable. As I was growing up, I found the opportunity to meet and hear from real scientists was always engaging and made the career path feel the most attainable. Is difficult to connect science and entrepreneurship? If yes, then what’s the most challenging in that? Yes, and no. Scientists are natural innovators, so connecting scientists with entrepreneurship seems like the logical next step in disseminating scientific discoveries. However, the entrepreneurial path is rarely followed, partly due to its low visibility as scientific innovation clusters are few and far between. As the infrastructure barrier to starting up a science company lowers, with local scientific incubator initiatives like Unit DX, Bristol, coming on-line, the opportunity to build companies based on novel deep tech becomes increasingly accessible. You have been involved in recycling and fashion for a long time. What keeps you motivated? To prove that the fashion industry can be sustainable as well. I don’t know if this is exactly motivating, but I’ve refused to design things which production has a negative impact on our environment and other living creatures. So, a conscious choice to do things in an ethical way. 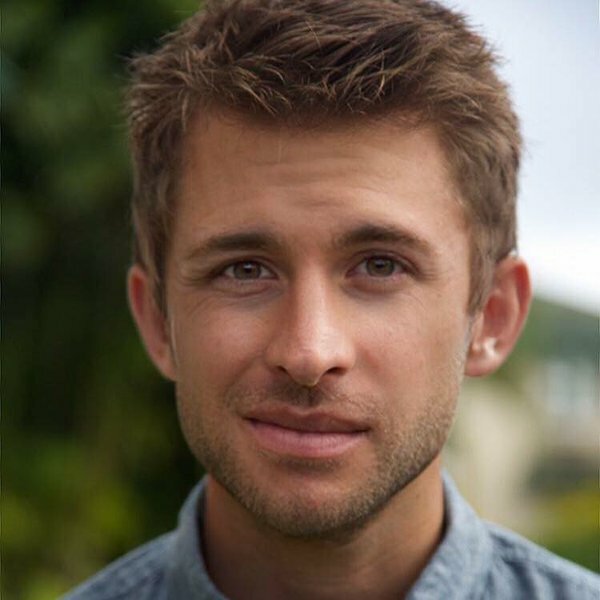 What have been the biggest challenges as an entrepreneur? How to overcome challenges? If you do something for the first time, then every new step in product development is a challenge. Because you just don’t have the necessary information. Only conscious actions help to deal with challenges. You gather information, test things and try again. By no means should you let failures lead you off your path. For some reason, our society doesn’t value failures. You have to understand, that these are normal parts of life and your progress depends on how you manage failures. You have to take most of them – to understand what you did wrong and never do it again. This is how we perfect ourselves. What has been the biggest lesson for you as an entrepreneur? Intuition also works in business. Everything happens for a reason. When I started valuing recycling 15 years ago, I only had an intuitive hunch that this field will become more important. Most of the people didn’t realize why am I even doing something like this at all. The changes in processes, which I’ve foreseen in my job, have gone this way. Faster, than I ever imagined. Personally, development with the help of TMK and Krija yoga. Speaking of bigger picture, I don’t see anything exciting, rather I feel perplexed by the people’s inability to change their habits. Scientists have given us 12 years to stop climate change. We know what to do in order to maintain the life in our planet but for some unclear reason, we argue over the price of a beer. Doesn’t this leave you perplexed? So that was a little sneak peek into the diverse program of sTARTUp Day 2019. 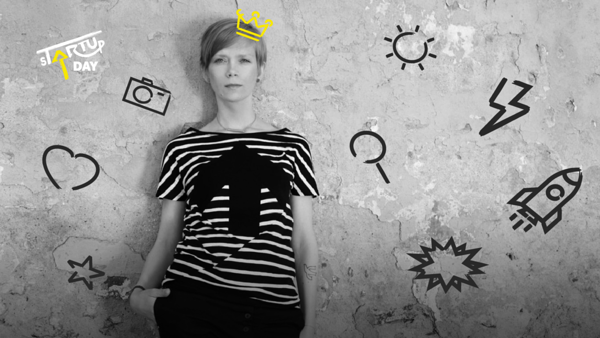 If you’re curious for more you should definitely consider coming, 23rd to 25th January in Tartu. This article was a guest post by Triin Kand, PR & Communications Manager @ sTARTUp Day 2019.